Form Packs are an additional option for organizing your forms list. 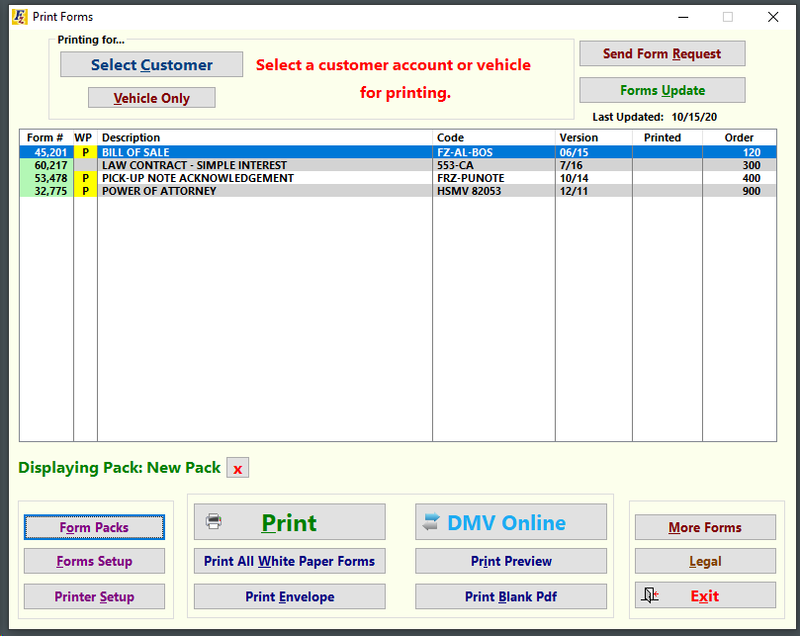 To access Form Packs click the button on your Forms Printing Screen. 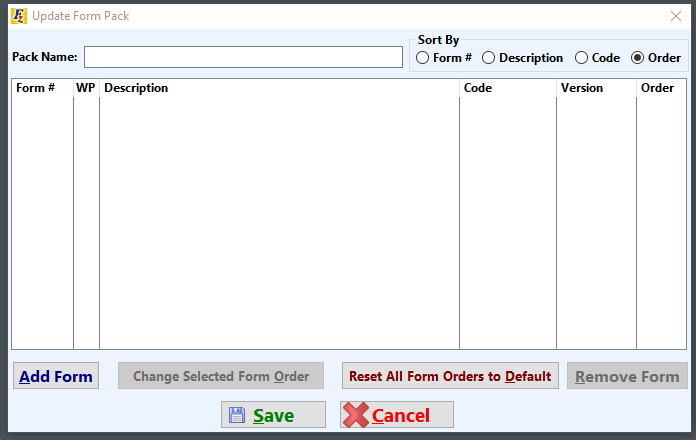 Form Packs are an easier, simpler way to organize your Forms Printing in Frazer. Once you click the Button, this screen will appear. From here, you have the ability to create as many individual Form Packs as you'd like, change any existing Form Packs, or Delete them. 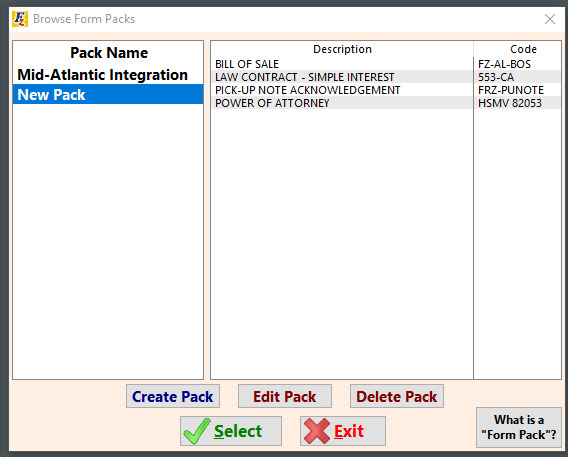 To Create a Form Pack, Click Create Pack. The screen comes up. Click to Select any available forms from your Forms List. Select the Forms one at a time until you've populated your Form Pack with the ones you want. Once you're satisfied, give the Form Pack a unique name, and click Save. To actually print a Form Pack, you just need to highlight the Form Pack you want and click the button. The Forms List will now display which Form Pack you're looking at under it. From here, you simply need to print from this more simplified list like you normally would. Any Forms highlighted in yellow will still print when you click . Forms Setup will work the exact same way as well. 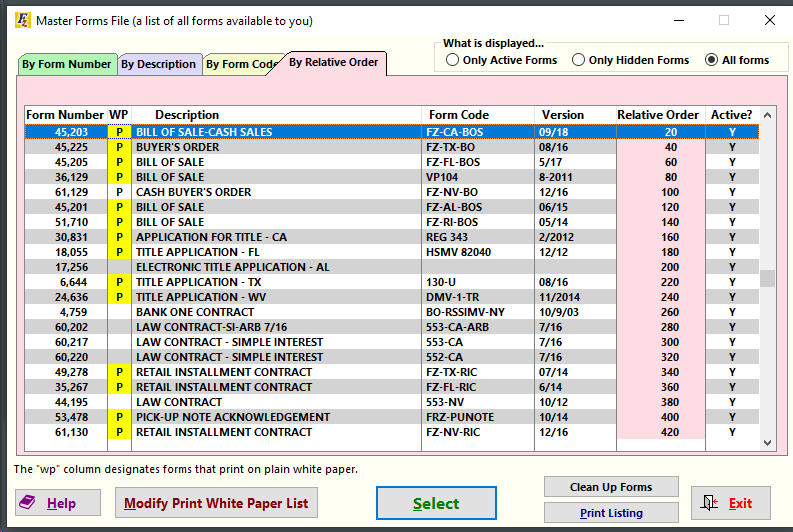 For more information on Forms Printing and organizing your Forms List Click Here. For the other way (bit more advanced) of customizing your Forms List Click Here.